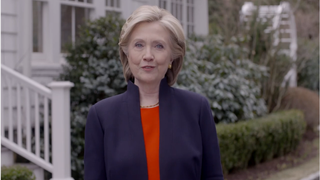 Hillary Clinton announces bid for president. Ending months of speculation, former Secretrary of State Hillary Clinton on Sunday officially launched her campaign to seek the 2016 Democratic presidential nomination. She broke the news via Twitter and a video announcement.